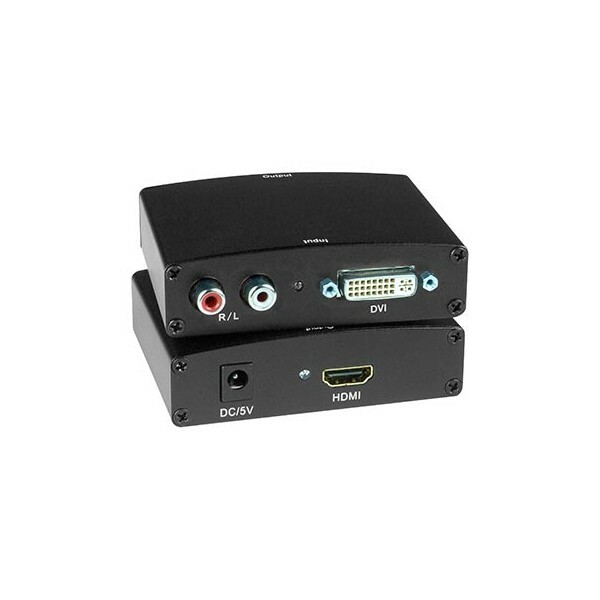 AURORA, OH: Video Products Inc announces the addition of a low-cost DVI + stereo audio to HDMI converter to its popular line of video converters. The DVI to HDMI converter changes a computer's digital DVI and stereo audio signals to a single HDMI stream with integrated audio. 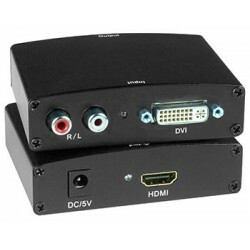 The DVIA-HD-CNVTR-LC connects computers with digital DVI and stereo audio connectors to HDMI monitors or projectors. The converter supports HDTV resolutions up to 1080p and computer resolutions up to 1920x1200. The HDMI output supports embedded digital audio through HDMI compatible TVs or audio receivers. No new software or drivers are required providing easy plug-and-play functionality. 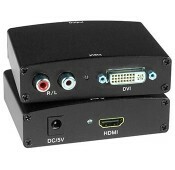 Available for immediate sale, the Low-Cost DVI + Stereo Audio to HDMI Converter sells for $64 each.